Nature has finally won its court case against Mohamed El Naschie, see here. This was based on a 2008 Nature story by Quirin Schiermeier, which during the case was removed from the Net, but now is back up. The court found that this article was accurate, not libelous. I had talked to Schiermeier and was accurately quoted in the article. Over the past couple years, I’ve heard a few times from Nature‘s lawyers that the case was in progress, but didn’t know the details. The court judgement has full details, and is kind of interesting reading, it’s available here (thanks to Hamish Johnston for pointing me to this). I first came across El Naschie when a commenter back in May 2005 mentioned his papers here. It was immediately clear that the journal El Naschie was editing for Elsevier was highly problematic, and surprising that they hadn’t done anything about it long ago. From the court documents it seems that they finally realized how much damage it was doing to their reputation and decided to shut it down, giving notice to El Naschie in June 2007. By then, much of the damage was done. If you talk to mathematicians who support the Elsevier boycott, the story of this journal is one that gets mentioned often as evidence for just how bad Elsevier’s policies have been. It was the Elsevier problem that immediately caught my attention when I took a look at the journal and responded to the 2005 comment. Neil Turok was brought in for the job of evaluating El Naschie’s papers, and you can read the results in the court judgement. Perhaps the most striking thing about all this is not the weird El Naschie story or the problematic Elsevier story, but that it brings serious discredit to the British court system. This is a case that should have quickly been thrown out by any reasonable judicial system. Instead the defendant was forced to devote huge resources in terms of money and time to mount a defense. Many are pointing out that only a large corporate organization like Nature can afford to do this. Update: There’s an excellent piece in Nature this week by Quirin Schiermeier, the reporter who wrote the article about El Naschie that led to the lawsuit. While supported by Nature, he had to devote a great deal of time and energy to the suit, and he makes clear the intimidating effect on accurate reporting that the British libel system imposes, with effects reaching well beyond British borders. The problems with British libel law have been recognised by the government after a successful campaign by free-speech and science-related interest groups. Actually, this has been a much debated issue in the UK ever since the British Chiropractic Association attempted to sue Simon Singh for stating scientific facts about Chiropractic in a newspaper column a few years ago. A libel reform bill is due to be debated in parliament this session (see http://www.independent.co.uk/news/uk/politics/new-bill-will-reform-libel-laws-7728516.html) and I am optimistic that there will be cross-party support. Hopefully, the El Naschie libel case will be the last of this sort. That these people exist isn’t a surprise. What is surprising to the extent to which he gained a foothold in the academic world. Why did Elsevier (a) appoint him in the first place and (b) carry out no meaningful oversight of the practices of the journal ? I guess we’ll never know even though it would be useful information to prevent future problems popping up. I did a bit of internet digging on this story. There are quite a few pictures of El Naschie with Nobel laureates. He looks like a fan asking a star to pose with him. One picture, showing a large number of participants at an event, has been photoshopped such that it appears only he, Wilczek, Gross and t’Hooft were present and posing together. The original and manipulated picture are both available. The written judgement is interesting in that it shows by just how much El Naschie was driven by prestige. He demanded a one year “grace period” to step down from his editorship to avoid it looking like he was pushed. The details of the case (and of the man himself) become a little boring after a while since we all feel as if we know someone like him. The mystery is how he ever came to an edit an (apparently) respectable journal. The answer to how he managed to maintain his charade is simple — he has (had) lots of money, which he used to both ingratiate himself within the academic community and perhaps more importantly, to bully his critics into silence. Money can only take someone so far. This gentleman ended up founding and editing an apparently mainstream journal with no (or wholly inadequate) oversight. @Roger: Why these people exist, and how they exist is easy to explain. In my department there is a fellow who has published many of his papers in Chaos, Solitons, and Fractals. (These articles are without content). It had a decent impact factor, and so his curriculum was improved – in my country the curriculum is scored in a rigid manner in part by a paper count weighted by impact factor. People like this fellow have a vested interest in supporting people like El Naschie. They need overpriced incompetently edited journals – it gives them a place to publish articles which no one will read (if anyone read them, they might be discovered for what they are). Meanwhile, Elsevier makes money off the journal. In countries with poorly functioning university systems, this sort of behavior can take a man to the top – his curriculum impresses outsiders – he is an editor, author of many papers with fancy titles, etc. – and with this he secures many grants – which he uses to further consolidate his position. When a system has within it few researchers of high scientific quality, and these people are struggling to find stable employment (as is often the case), there is no oversight or control worth the name, because those tasked with oversight and control lack the relevant scientific criteria. Charlatans can dominate the system. This situation is hard to understand if one has spent one’s entire professional life in a typical US or UK university, where things work much better. One has to imagine that the a***** scumbag operators that are present in every department are all there is. For Elsevier, this could simply be just a simple oversight – the rubbish journal appeared to earn money, and Elsevier did not have enough resource to monitor every single journal that is under them… when eventually Elsevier did discover the journal was rubbish, they toke action, and El Naschie fought back. I think the real punchline that we should be glad that the court did the right thing. I think there are more severe versions of the same problem in our society – rubbish journals may only affect careers of some, … and then we have Scientology and intelligent design which pretty use similar strategies to deal with critics (laugh – sorry if I get somewhat off topic or into politics). One thing is that more respected university and insitutes did pay more attention will notice folks that publish only in small journals. I think it is impossible to weed out all the questionable elements in academia. I think many posters and readers of this blog will understand that just by looking at their own university or research insitute , and there always some folks that produce rubbish science who try whatever way to game to system to keep their career alive. Disclaimer: I was not involved in this case, although I know some of the principles. The judgment by Mrs. Justice Sharp in El-Naschie v Macmillan impressed me as a paradoxical mixture of clarity, indirection, and oh-so-decorous evisceration of the Claimant, Mohamed El Naschie. A minor masterpiece of its genre, in fact. The judgment is almost 100 pages long and contains much information not previously known to those not directly involved in the case. It constitutes a complete vindication of the public interest reporting by the journal Nature and their senior reporter, Quirin Schiermeier— and implicitly, of John Baez. I raise my glass to the victors! But according to groups like Sense about Science and Index on Censorship which are working to effect long-overdue reform of the libel laws in the UK, the judgment does little to protect persons who criticize pseudoscience in blogs or other public discussion forums, or academics who debunk pseudo-scientific screeds or who in the public interest draw attention to apparent academic misconduct by their peers. It does nothing to protect “anonymous” referees reporting their scholarly opinion to a journal editor. And it does nothing to help people like Tim Gowers who are working to eliminate Elsevier’s practice of forcing academic libraries to purchase subscriptions of dozens of minor low-quality journals in order to obtain a subscription to a major high-quality journal. The judgment does set a precedent helpful to would-be reformers of UK libel law, but its only immediate effect may be to permit Nature to once again make available the Nov 2008 article by Quirin Schiermeier (which they did within minutes of the decision being handed down). Because El Naschie has relocated outside the UK, it appears likely that Nature will not be reimbursed for its the legal fees arising from the three-year ordeal, which are said to run into the millions of pounds. The judgment probably does make it unlikely that El Naschie will be able to file further defamation lawsuits in a UK court unless he pays Nature’s lawyers. But until the UK reforms its libel laws, other individuals will continue to threaten scientists, journals,and universities with defamation lawsuits arising from scholarly debate and public discussion of controversial issues in the public interest. During the pre-trial discovery process, Elsevier took the unusual decision to voluntarily share with the defense team internal emails between El Naschie and his “supervisors” at Elsevier, and the judgment includes some excerpts. These snippets show that Elsevier had been concerned about the unusual editorial practices at CS&F for years, and by November 2008 they had in fact been trying for more than a year to remove El Naschie as editor. I had not known that. In studying the judgment, I found it useful to construct a timeline (far too lengthy to post here) using this document and other sources. After doing this, I felt that I understood for the first time the hysterical tone of the many, many, many suspected sockpuppet posts in various discussion forums which took up the case of El Naschie. One of the Cafe bloggers assured me in Nov 2008 that there was much more to the story than was so far known to the general public, and now I think I know what he meant. But I am also left with some unanswered questions, and hope that someone here can offer some insights. I have long wondered why the universities did not band together years ago to sue Elsevier for effectively forcing them to pay thousands annually for such a completely worthless journal as CS&F became under El Naschie (the judgment makes it clear that this is the opinion not just of myself but of Mrs. Justice Sharp). Could the voluntary disclosure by Elsevier been intended to dissuade the universities from just such a lawsuit? By showing that they were in fact attempting to clean up CS&F, despite appearances to the contrary? The reputation of this company in academic circles probably does not make it likely that we will easily accept the more straightforward premise that Elsevier simply wanted to do the right thing. The internal emails disclosed by Elsevier do however suggest that at least some Elsevier employees were genuinely concerned with quality control and wanted very much to remove El Naschie. The emails show that El Naschie responded to repeated demands for his resignation with (to paraphrase Mrs. Justice Sharp) an odd mixture of praise for the publisher, emotional pleas for mercy, and legal threats. This raises the question of whether Elsevier, which is said to be one of the wealthiest multinational corporations in the world, was actually deterred by legal threats from summarily firing their rogue editor. If so, this is just one more illustration of how current UK libel law makes it utterly impractical for all but a handful of publications (like Nature) or private individuals (like Simon Singh) to fend off even the most baseless of defamation suits. It is necessary to have not only the money but also the will; Elsevier clearly did not lack the first but may have lacked the second. I learned from the judgment that Elsevier apparently bought CS&F and some other journals from Pergamon, and there are hints that they inherited from Pergamon a contract which was in some way unusual. I wonder whether this may have resulted in some strange legal obstacle bearing on the enduring mystery of why it took them so agonizingly long to fire El Naschie. Another remaining mystery is the question of why Greiner and some other respectable people seemed to offer El Naschie “honors” which he plainly did not merit. A hint of one possible explanation might lie in an pre-Baez-blog email quoted in the judgment in which El Naschie pleads with Elsevier for a “face-saving” exit. In the end I found the judgment to be quite depressing, despite the complete vindication of Nature, Schiermeier, and Baez. The reason is that it emerges that El Naschie and his close associates not only succeeded in creating and maintaining for decades a walled garden of pseudoscience under the imprimatur of a “respectable” publisher, but drew several non-scientists into the web of deception. And all for what? The impression I obtained from El Naschie’s emails, quoted in the judgment, is that the ultimate motive may have been to support, not with money but with the academic appurtenances of a “respectable man”, an elegant lifestyle which included good dining with a circle of loyal admirers of the self-styled “genius”. 2. Publishers of such journals MUST maintain the financial and legal resources AND THE WILL to remove rogue editors “for cause”. 3. Parliament MUST act decisively during this session to reform UK libel law along the lines suggested by organizations like Sense about Science. 4. Congress should enact its own laws preventing US bloggers from threats of libel actions in the UK, Egypt, Turkey, and other nations whose laws fail to address the need for open debate on issues in the public interest, including scholarly debate. 5. Prominent scientists should not set up as the editor of a new journal a young scholar lacking a scientific reputation established upon unquestionably solid research, even if they claim to consider him a “genius”. Putting so much power into the hands of someone of unknown scientific aptitude, untried character, and untested judgment is simply unwise, and risks embarrassment for the profession and personal disaster not just for the editor, but for his family and employees. 1. When did they first realize the problem with El Naschie, and why didn’t they take action earlier? 2. It’s easy to remove an editor who goes willingly, but in this case they had to be willing to act forcefully and go to court if necessary. It seems that for quite a while they were well aware that they were putting out and charging money for a disastrously bad journal, but didn’t want to go through the trouble necessary to deal with the situation. They have paid a heavy price of their reputation for this choice. Charon Duermeijer (Elsevier’s quality-control person) emails her own supervisor, Martin Tanke, expressing concerns about the strange referee practices at CS&F, and naming 30 Jun 2007 as the “next opportunity” to remove El-N; a three-year contractual cycle, mentioned elsewhere in the judgment, may suggest that a previous effort in June 2003 had failed. Elsevier internal email states ““We are increasingly concerned that lax or inconsistent peer reviewing, plus questionable editorial standards, have severely damaged the reputation of the journal and threaten Elsevier’s reputation for upholding scientific standards”. El-N meets with Martin Tanke, who insists that El-N retire. Besides the question of why it took until 2006 for them to be aware of the problem (if it really was that long), the next question is why El Naschie wasn’t fired for cause in 2006, with Elsevier instead negotiating with him about his retirement into 2008. It’s hard to believe that their contract with him allowed the kind of behavior he was engaged in . Please allow me to make what in my opinion looks as an impartial comment. 1- To be more more accurate, it should be stated here that El Naschie was in fact the founding editor of the journal Chaos, Solitons & Fractals. It was first published by Pergamon then bought by Elsevier. So, he was not appointed by Elsevier as the editor of this journal. 2- The court judgement dealt exculisevely with the non-scientific side of the case. This has been made very clear by the new judge Mrs Justice Sharp, who replaced the first judge Mr Justice Eady for undeclared and, hence, unknown reasons. Mrs Sharp also repeated in her judgement that the scientific aspects of the case were left for judgement by standard scientific debate in standard scientific circles. 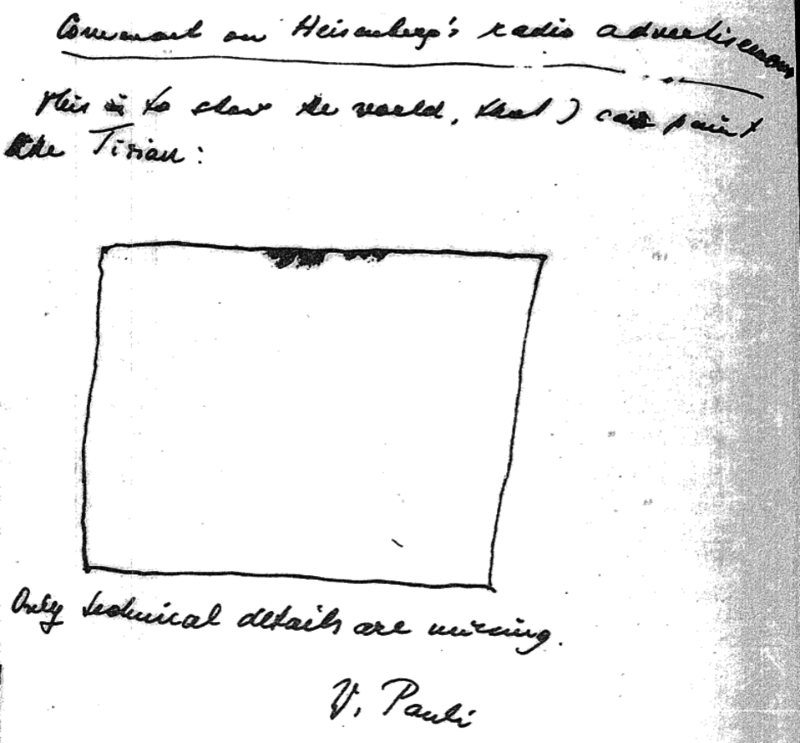 Also, the “expert witness” to the defendants, Prof Turok, stated it clearly in his witness statement that he is not an expert on the pure scientific aspects of the matter, and that his witness statements dealt only with the other aspects of the matter such as the excessive number of papers published, their refereeing if any, their clarity and completeness, misprints and misnomers in them, etc. 3- I haven’t personally seen so far a detailed scientific discussion of the scientific aspects of El Naschie’s work published in scientific circles. His work hasn’t been so far proved to be partially wrong, completely wrong or “Not Even Wrong”. He claims that his work is based on the use of “transfinite sets”, “fractal geometry”, “Cantor sets”, etc and their application to quantum physics in a new way. I know that these concepts are new to physics and have also been controversial in the mathematics community for some time. So, one cannot exclude that there may exist some misunderstanding of his scientific ideas which many see for this reason as pure numerics of no scientific value. This last point shouldn’t be taken as implying that his scientific ideas are correct, but it could also imply that they shouldn’t be also decided as completely incorrect unless an impartial scientific debate is done and finalized. It also shouldn’t be understood as implying that his editorial behavior, which is another matter that has been judged by the court, is justified. On the contrary, the court judgement may have implied that the misunderstanding of the scientific aspects of his work could be understood as being partially due to his incoherence and other presentation problems in his publications. In the light of the above remarks, may I call for an impartial pure scientific debate about the scientific ideas of El Naschie to put the scientific aspect of his case to rest, as it hasn’t been finalized by the court judgement in my opinion. This would be more in the interest of science than anything else that may have been exclusively the job of the court and was finalized. I, as a humble mainstream physicist, have accurately and repeatedly read what has been written in 2005 on the webpage indicated above, and also what has been discussed in the 2008 thread in the N-Category cafe website, and cannot be able to see in them a detailed pure scientific discussion which can qualify as the “standard scientific discussion in standard scientific circles” referred to by Mrs Justice Sharp in the court judgement. This criticism applies more to the comment made earlier in 2004 by commenter, Chronos, on the physicsforums.com website which touched only on El Naschie’s possible misuse of affiliations. We know, as scientists, that any scientific research paper is usually, and in most standard cases, refereed by at least three independent impartial experts to qualify for publication in a respectable scientific journal. Then, how can any one be convinced that these type of comments and opinions can be considered as final decisions on the pure scientific aspects of the case? I make this additional comment with the a priori understanding that the court judgement have indicated that some of El Naschie’s papers may have not been properly refereed, and with all due respect to the people who have made the comments referred to above and their scientific standards and integrity. To my knowledge, there are no other places where one can find the required detailed scientific discussion, but I may be wrong. “Impartial Commenter?” appears to be an El Naschie sock-puppet, writing from Cairo. Any reading of the court judgment will make clear that his claims are nonsense (see for instance point 120 of the judge’s decision). Everyone who writes nonsensical papers about physics making grandiose claims wants to get other scientists to waste a lot of time reading their papers and trying to extract something intelligible from them. In this case, due to the dysfunctional nature of the British legal system, a highly competent physicist, Neil Turok, spent a lot of time on this, and the results are available in the court judgment. I strongly discourage anyone from wasting more of people’s time indulging El Naschie (or his sock-puppet) in this regard. 1. The criticisms leveled by Baez, and echoed in court by Nature’s expert witness, Neil Turok, that El Naschie’s papers exhibit “a failure to define terminology and concepts, conclusions unsupported by reasoning, and meaningless, obscure and simply wrong statements”, were all found to be justified on the facts. 2. The assessment by Baez and others that these papers lack any discernible scientific merit was found to be a reasonable conclusion. 3. The suspicion expressed by Baez and others, that CS&F appeared not to be following accepted practices of editorial review, was found to be fully justified: Justice Sharp concluded that El Naschie failed to produce any documentation of any CS&F referee reports and that in any case, the papers were of such poor quality that they would never have been published by any journal which did employ adequate review. 4. The opinion expressed by Baez and others that CS&F’s high impact factor was the result of manipulations by El Naschie was fully justified. 5. This manipulation, and the publication of the worthless papers of El Naschie without proper review, were found to constitute “an abuse of [El Naschie]’s position” as editor. 6. The opinion expressed by “Chronos”, Baez, and others, that the publicly available evidence suggests that El Naschie had made a practice since at least 2000 of falsely claiming several academic affiliations he did not in fact possess, was justified on the facts. While Justice Sharp did attempt to draw a sharp legal distinction between her rather narrow and carefully worded findings and her opinion of El Naschie’s scientific status, I believe that the above account is an accurate summary both of her findings and of de Wilde’s own summary of her findings, in so far as these bear on the wider issue I want to discuss: institutional failures which can allow someone like El Naschie to engage in serious misconduct for many years. To be fair, de Wilde’s comments occur in the context of the phone hacking scandal, which involves shocking revelations tending to support the view that certain “tabloids” based in the UK have engaged for years in objectionable practices which exceed what most people would regard as responsible journalism. The resulting furore (which has resulted in a dozen official inquiries in the UK) is in my view justifiable, but unfortunately it has tended to distract attention from the merits of the arguments presented by groups such as Sense About Science and Index on Censorship which hope to enact badly needed reforms in UK libel laws. I hope this will not prove to be a case of two laudable reform movements canceling each other out, since I believe that it is possible and urgently necessary to enact provisions strongly discouraging both unmerited libel actions targeting responsible bloggers like John Baez, and improper “investigative methods” targeting relatives of crime victims and other innocents who were allegedly victimized for profit by the Murdoch machine. To reiterate some points I made earlier: the decision by Justice Sharp constitutes a complete vindication of the criticisms of Baez and the reporting of Schiermeier, and will no doubt be cited by every court which hears a similar case in the future. But while the decision may embolden a handful of major publications like New Scientist and Nature to once again speak out against future cases of uncovered scientific misconduct, it does little to protect whistle-blowers, not even tenured professors like John Baez whom many believe to enjoy a legally recognized privilege of scholarly speech. In fact, it appears that no such privilege is generally recognized in the law, and I think that is a problem. Even those nations whose legal statutes apparently do offer some protection to “scholarly speech”, such as the USA, have defined this so narrowly that most bloggers lack legal recognition as professional “journalists” or “scholars”. And the notion of free speech generally has endured an unrelenting attack during the past decade. Furthermore, I see nothing in Justice Sharp’s decision which might tend to mitigate against the obnoxious practice of “libel tourism”, which appears to be used with increasing frequency by persons hoping to suppress scholarly criticism of dubious scientific claims. for some further examples of widely publicized cases of scientific misconduct. I think we need to coin a term for the comparatively small number of dishonest persons hiding among the population of honest scientists, who cause damage disproportionate to their number or “intellectual weight”. A term denoting those who engage in scholarly misconduct such as unethical experimentation on human subjects, undisclosed conflicts of interest such as corporate sponsorship of dubious “medical research”, suppression of genuine data, concoction of fraudulent data, intellectually dishonest statistical manipulation of data, plagiarism, gift and ghost authorship, malicious impersonation of other academics, misrepresentation of academic affiliations, editorial misconduct, state and corporate sponsored trolling, publication of “propaganda journals” and “marketing journals”, and other insidious distortions of the scientific process. I propose to name this noxious invasive weed Mendax mendax. To which I would add: when well-founded suspicions are raised, they are often ignored, at least initially, and when they are not, the resulting investigations are often excessively timorous, and if they result in academic sanctions, all too often the charges, the investigation, and the sanctions are all covered up in order to protect the journal, the university, or scientific body which published, employed, or funded the miscreant from legal action. This suggests that the fairly small number of highly publicized cases in which people have been dismissed for cause may represent only the tip of a substantial iceberg. Some observers believe that various kinds of scholarly misconduct are running rampant in China, India, South Asia, and parts of the Near East, and such misconduct may be increasing in North America and the Eurozone, particularly in the lucrative field of medical research, with universities and scientific institutions increasingly distracted by worsening financial problems which in some cases threaten their very existence. Decisive and timely intervention is necessary to prevent Mendax infestations from getting out of control, but prompt, firm, and public action is rarely taken before serious damage has been done to institutional reputations. All too often, the result has been that an individual miscreant simply moves on to another journal or another university in order to resume his scientific abuses. It seems to me that it should not be difficult to insert into employment contracts, funding grants, and paper submission forms language protecting institutions such as journals, universities, granting agencies, and professional societies, which are responsible for helping to ensure the integrity of scientific publications, from legal threats such as those allegedly made by the (allegedly nonexistent) “legal advisers” of El Naschie when Elsevier attempted to remove him. However, such measures would do nothing to protect whistle-blowers like Baez from retaliation, and legal reforms protecting whistle-blowers generally may be needed to address this point. Curiously, with the possible exception under some circumstances of improper medical experimentation resulting in death (which according to some physicians happens more often than most people realize), even the most severe scholarly misconduct does not appear to be considered felonious under the law. Possibly it should be. Timmer adds: “Investigating scientific fraud is a slow and painful process. A false accusation can ruin someone’s career, so these investigations tend to be careful, thorough, and done completely in private, in case the accusations are off base”. No-one could object to that. The problem is, “nobody really wants to be the one on the hook for running [such an investigation].” This is an inherent human weakness which can and must be addressed by suitable institutional measures which ensure that someone takes ownership of a suspected problem and addresses it effectively, before it gets out of hand. Scholarly misconduct is an international problem, for reasons which include but are not limited to points touched upon by both Timmer and de Wilde. I applaud everyone who puts themselves at risk by fighting corruption and scholarly misconduct. Particularly in countries like China where the consequences for speaking out can be especially severe. Can anything positive come of such widely publicized instances of mendaxity as the recently terminated careers of El Naschie and Fujii? If these cases stir serious discussion inside faculty rooms and professional societies, discussion which results in measures effective in suppressing future cases of scholarly misconduct, then something valuable will have been achieved. If not, all the toil and trouble over the voluminous but worthless writings of El Naschie will remain just what it is today: utterly pointless.